Thanksgiving cooking can be confusing. Especially for those who don’t cook often*. Here are some ways to use what you already have to make the day go a little smoother. Your oven’s temperature could be off, causing you to over- or undercook. If you still have it, check your manual for specific instructions on making sure that your oven’s 350 degrees is really 350 degrees. EHow’s guide “How to Calibrate an Oven” is also good if you ditched your literature. Use all three racks without rotating. 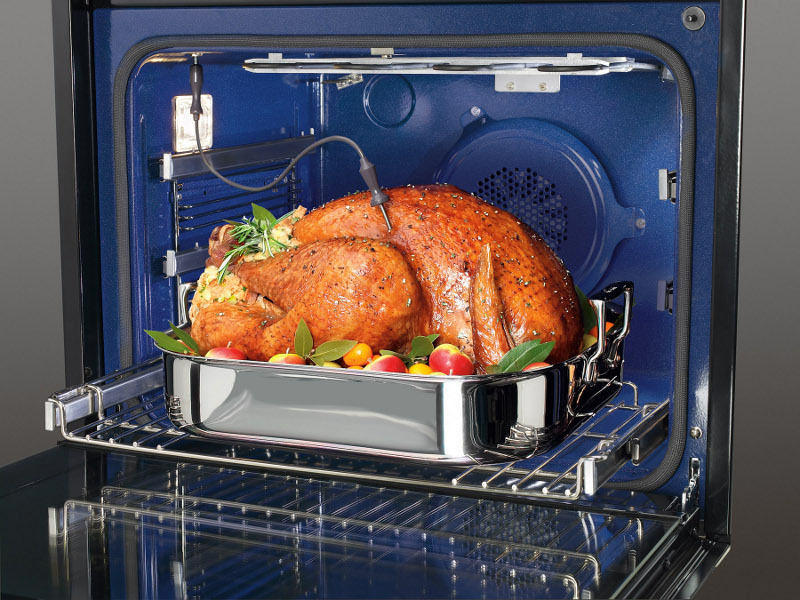 Many people buy a convection oven with holiday cooking in mind, and then forget to use it! If you have true convection or settings that allow multi-rack cooking (the bake and broil element shut off after the preheat), you can put a dish on each rack without having to rotate them. Just remember to set the temperature 25 degrees below what’s recommended for normal baking. If you have a convection microwave, you have a second oven. The 25-degrees-below-normal-bake-temp rule applies here, too. Many microwaves come with a sensor you can use to automatically adjust cooking power and temperature based on the amount of moisture in the food. Try it on meat, potatoes and vegetables to save time and ensure a perfect dish. Again, check your manual for instructions of how to use your model’s specific features. Allow 24 hours for an icemaker to refill. 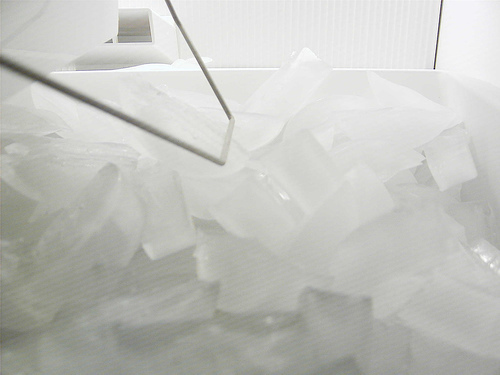 Empty out your icemaker bin into a large, plastic bag and keep it in the freezer 24 hours before your guests arrive. By the time they do, you’ll have a bin full of ice and a cheap refill once that’s gone. The temptation to open the oven and check on your goodies is high, but the temperature won’t be if you do. The oven temperature can drop 25 degrees in just seconds, increasing cooking times and wasting energy. So keep that door shut, already! 7. Remember that meat probe? How ’bout that warming drawer? Hopefully just reading this jogs the memory of that stuff you have but never remember to use. Many ranges now come with metal probes to stick into a turkey or ham to monitor the temperature, which should hit 180 degrees. And, are you sure that drawer under the oven you use to store pots is only for storage? Some range models include warming drawers, which work great to keep early bird guests’ dishes ready while you finish up the bird. Having a tiny pot on a large burner wastes energy and a big post on a tiny burner slows cooking time. Cook smart on the stovetop to shorten cooking times and save energy/money. 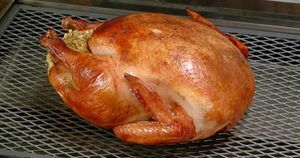 Grilled turkey tastes great and frees up your oven for everything else. Get creative and use your grill for potatoes, biscuits and pie — and I can vouch for the deliciousness of pie made on the grill. Remember that shelves can be moved up and down to fit tall items like 2-liter bottles and frozen turkeys. And consider making a short shelf for platters that can’t be stacked. That way you won’t be wasting all that space above the trays. I’d love to hear more tips if you have them. I just really like the number 10. *Nearly 4 out of 10 say they use their oven only once a week or less throughout the year, according to a poll of about 1,100 Angie’s List members. Next Will Black Friday kill Thanksgiving?